For more than a quarter of a century Glasswood has established an excellent reputation in the field of conservation, restoration, and reproduction of historic windows. 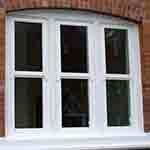 Your local Traditional Glazing company with a complete range of quality products and a personal service second to none. 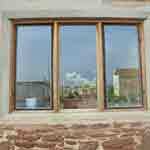 With over 30 years experience in the home improvement industry and support of a highly trained and friendly staff, it did not take long for Traditional Windows to establish itself as one of the most respected home improvement companies in the South West of England. 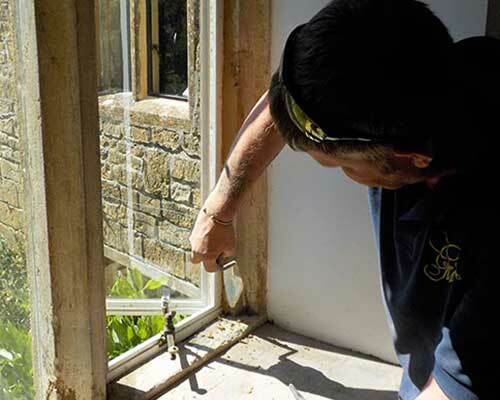 We can provide a consultancy service, providing reports and recommendations on all forms of leaded glazing, iron and steel windows and stone mullioned windows. We will carry out work to the instructions provided by the architect or advise and make recommendations if required. As a local traditional business, we pride ourselves on our quality of workmanship and we will always offer the client our honest and free advice in all of our surveys and quotations. Whether we are working as contractors or subcontractors our standards in quality and finish are never compromised. 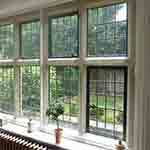 The aim of conservation is to retain as much of the original glazing as possible with the minimum of intervention. There eventually comes a point with every old building where the windows have deteriorated to a level where complete restoration is the only option. 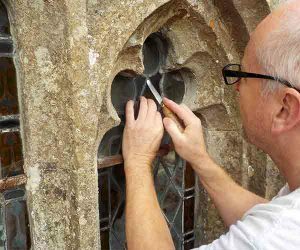 In such cases, the glazing is carefully removed and restored to its former glory whilst retaining as much of the original as possible. One of the things we’re trying to do in a range of ways with The Box is combine the historic with the contemporary – even through the work that’s happening on the construction site. We may be creating a visitor attraction for the future, but a lot of the work also involves traditional craft techniques and processes. From stone masonry to lime mortar rendering to lead working – the refurbishment of St Luke’s Church and the historic features in the Edwardian parts of the former Central Library and City Museum and Art Gallery are involving trades that are centuries old. 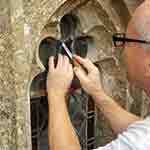 One of the most visible elements of this is the repair work to the stained-glass windows in St Luke’s Church. 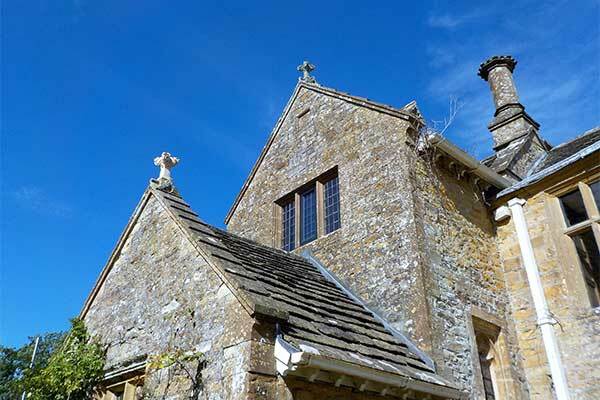 When work began on the church the windows were removed and transported to Glasswood, near Yeovil – a conservation company who specialise in historic windows and doors. 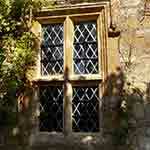 Some of the windows had become quite badly buckled or bent over the years and a few of the glass pieces had cracked. This collage shows them in the Glasswood studio. Read More ………. Many thanks for your quick and efficient work. I would strongly recommend your firm in the future. The Church has been very satisfied with installation of the protective polycarbonate screens and would be pleased to give a reference regarding this work. ‘Wonderful work on time and on budget. We are very happy with our restored windows. Many thanks Garry and give my regards to Dave. Have a good weekend. Thank you so much for your skillful and speedy restoration of our windows, whilst we had the scaffolding in place. 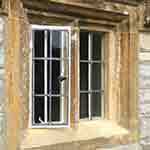 We have just had our ancient leaded windows removed, completely renovated and refitted, together with internal secondary double glazing. The workmanship is perfect, the craftsmen who carried out the work were so meticulous in everything they did. We are so proud of our windows now and cannot praise Glasswood enough. Thank you all for your expertise and courtesy. I am very pleased with the result and it has made a big difference … the team worked hard and they were a joy to have on site. So pass on please my grateful thanks.